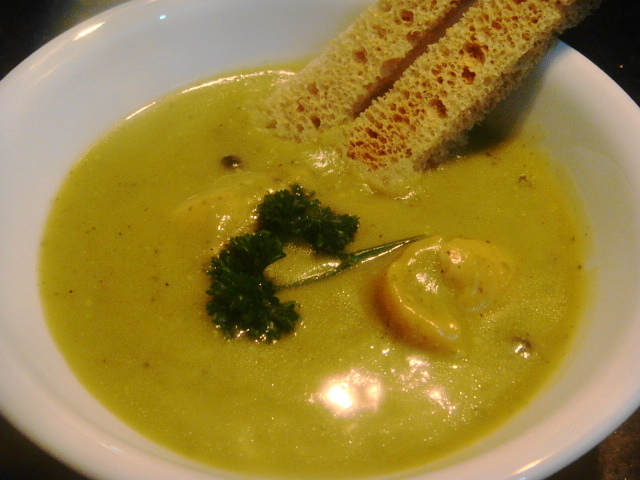 My husband and often dine at Café Mangii in Powai which serves some pretty nice Italian fare, and every time we go there, we order the same soup: a broccoli and pesto soup with chicken. I wanted to recreate that for dinner, with stuff that I had in my kitchen. Broccoli, chicken and basil? Check. Pine nuts? None. But I had some smoked which my dad brought back from a trip abroad, and I figured, why not. So what if I was going to use an English cheese in a soup with an Italian flavour? This cheddar was better than any of the orange mass-manufactured stuff I’d encountered so far. It was smoky, sharp, with the faintest sweet aftertaste. Every orange cheese can’t call itself cheddar. Technically, this cheddar wasn’t the Real McCoy either, because the original cheddar, according to Tom Parker Bowles, ‘comes from a farm, not a factory…’ ‘Cheddaring’ is actually a process of slicing and stacking curds to drive out the moisture and lock in the acidity. 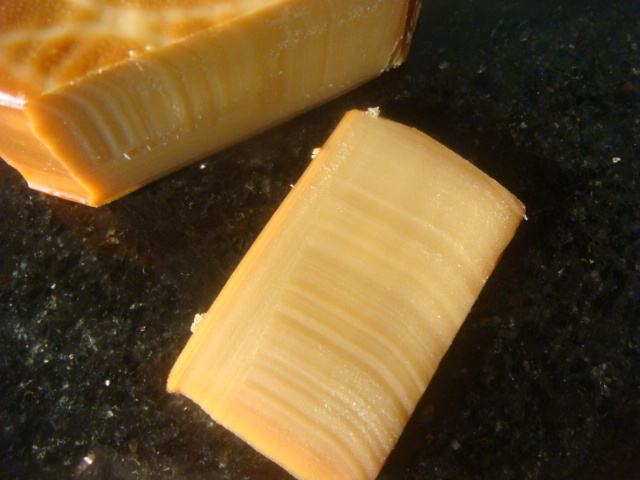 So while this cheddar didn’t come from a farm in England, it did have acidity and texture. I thought it tasted pretty good. When I do get the chance to go England and sample Jamie Montgomery’s cheddar at Manor Farm like TP Bowles himself, I’ll consider myself a cheese snob. For the moment, I’m just someone who read Full English cover to cover and is using it to impart gyaan. And fill up space on my post. This recipe uses very few ingredients- broccoli, basil, chicken breast, garlic, salt & pepper and cheddar. And you know what? I could actually taste everything. I had forgotten what broccoli really tasted like. When you get used to cooking curries and stir-frying everything with masala, you can lose the flavour of your core ingredient. The chicken was tender, the soup was creamy and fragrant and the cheddar was soft and a little gooey at the core. Boil the broccoli, wilt the basil leaves and put it in the blender with garlic cloves, salt & pepper and half a tablespoon of cream. Set aside. 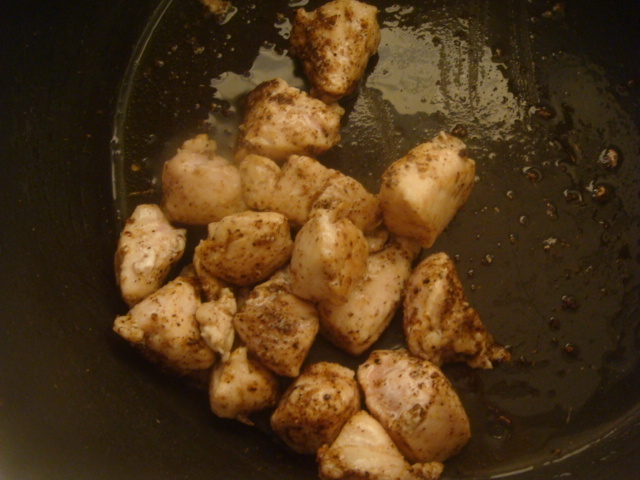 Sautée the chicken breast in olive oil, pepper and salt. fork or a toothpick in the cheese to test softness. The plating is kinda 1983, but I'm trying! 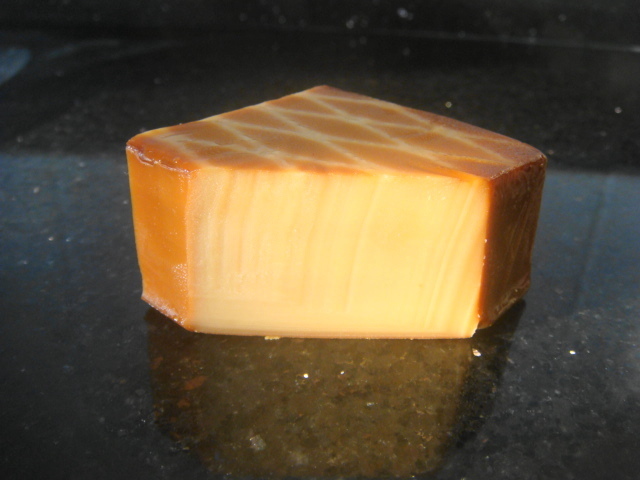 This looks delicious, though that cheese doesn’t have the consistency cheddar should have – proper mature cheddar is generally tending towards the crumbly side, perhaps this is partly due to the smoking process – we’d call that smoked cheese over here in Britain, cheddar is never smoked and still called cheddar. Really nice recipe mind you.